This article was originally written by Hannah Theis and has been updated. Think back to when you first toured colleges and universities. 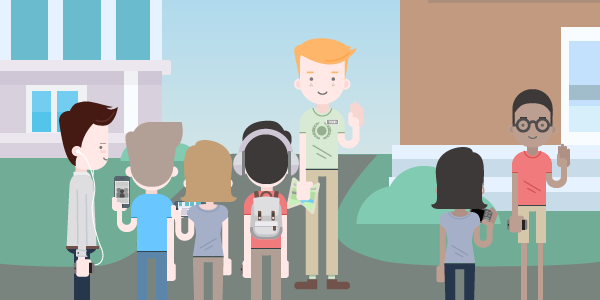 For some of you, you may have never stepped foot on a college campus before orientation. There is so much to know and learn about each specific campus and the culture that they offer. How do students make the decision to attend a specific school? This can be a convoluted formula that is hard to break down. So complicated in fact that 51% of admissions directors said they were concerned about meeting their enrollment goals for the 2015-2016 academic year. It’s proven that prospective student recruitment and the traditional campus tour is one of the most influential recruitment tools for students and their families. With increasingly high demand for this on-campus experience, how can admissions professionals keep pace without breaking the bank and maintaining prospective student engagement? In this thought piece we explore the trends and shifting practices affecting admissions professionals, and how higher education institutions are discovering solutions to this rapidly evolving technological landscape. To ensure that prospective students have an authentic and meaningful understanding of what it’s like to be a student on campus, student tour guides lead students and their families through campus with rich narratives framing the broader college experience. Current student leaders define and articulate the sense of home on a campus. Their tone of voice, excitement, memories, and answers to unique questions collectively develop a cultural understanding of an institution’s identity. 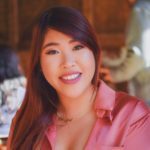 Use technology to engage and connect with students that are visiting campus on their own and limit the number of stealth applicants? Build a sense of community through a digital strategy to continue the conversation post-campus visit? We’ll get to that soon. What mattered to you probably matters to them too. What was important to you when you were visiting campuses? The all-important decision of where (or if) to attend an institution comes with a lot of big questions. Was it the fact that members of your family attended that same institution? How about the fact that the school offered your intended major? The academic reputation or cost to attend? We know that all of these are timeless factors when students are evaluating options for continuing education. These student outreach goals and strategies don’t appear to be changing anytime soon. But we can all agree that the student population is changing. This is an important disconnect that must be considered. Current strategies will need to shift to meet contemporary students where they stand, both socially and technologically. Students are engaging with universities earlier using the internet and social media. With the nearly unlimited technological resources at their fingertips, classes of students begin their relationship with institutions earlier and earlier each year. Students now orient themselves with schools online through Google searches, the institution’s social media presence, news articles, and the experiences of current students. From the point that students begin to construct digital, online, and internet identities with institutions, they also begin to establish expectations and assumptions to engage meaningfully with their institutions. In this mobile first world, more prospective students’ campus research and their ideas of what it’s like to be a student on a campus is occurring on a smartphones. With 85% of students owning smartphones, spending 8-10 hours on those devices per day, it’s understood that a majority of this discovery can happen right where they are most comfortable: on their mobile phones. Develop a comprehensive mobile strategy to meet students where they are, and their constantly growing expectations. But with up to 75% of students coming to campus and touring without an official campus tour, how can we communicate with them and help shape their experience? At the current state, these stealth applicants are flying under the radar when they experience universities on their own. We can’t afford to let them skip over the impactful interaction of meeting face to face. The good news is, admissions professionals can take advantage of the same technology afforded to students. Student Affairs professionals have the opportunity to track this digital footprint that students are leaving as they explore campus. Framing this new age of technology as a time of opportunity rather than a time of challenge, allows university professionals to garner more leads and track interest more effectively all while developing an online community for prospective students and their families. Combining this socio-cultural shift with the influx of mobile technology adoption has resulted in a perfect storm of a new age of admissions outreach. New opportunities exist to engage students through the tools they use, their languages, experiences, and expectations they bring to their earlier years of college. The fact is, institutions are constrained and running at capacity to successfully tour prospective students. With the growing shifts in social demographics and the increase in student enrollment, many families may visit campuses during weekends, after traditional touring hours, or simply not attend tours at all. This makes room to allow digital information (university websites, etc.) to provide context of the college decision process. To better meet and articulate a sense of home on a college campus shared between many diverse student experiences, admissions can extend their reach through mobile technology. Mobile tech provides the open and flexible environment to meet prospective students with diverse student narratives, articulate relatable experiences rooted in shared identities, ideas of success, and expectations of life on their campus. Breaking the fourth wall of admissions process to communicate directly with students. At the end of the day, after a student takes a tour, we want them to be compelled and attracted enough to apply to our institution. For that to happen, we have to be accessible and communicative, share the student experience, provoke interest, and do all of that in an organic way that leaves a lasting impression. Sounds like a tall order. At the current state, if a student does not join a scheduled campus tour, we have no way to collect contact information or start a conversation with them. We know that student-led campus tours are an extremely high yield recruitment tour, but now we have the opportunity to extend that reach with technology. Through Guidebook’s Campus Tour platform, admissions professionals at schools like the University of Oregon and Santa Clara University have been able to supplement their communication outreach strategy and lead collection through a mobile campus tour. More students are touring campus on their own. Some students want to visit campus on their own terms. Of course, as Admissions professionals, we want to make sure we reach every single student that steps foot on campus. This includes a completely self-guided, GPS led, campus tour that includes several opportunities for students to contact your office directly. Even if they do visit and attend a campus tour, let’s not let the momentum slow down. We have the opportunity to build on the excitement evoked from the student’s initial visit by engaging them through mobile, post-visit, to help them feel prepared and energized to take the leap of faith and join your university’s community. After all, it’ll be their new home for the next four years. 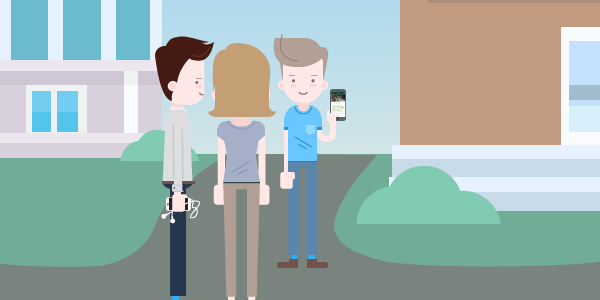 Want to create a self guided mobile tour for your campus? Reach and track more prospects with a virtual campus tour today. You can get started building one for free with our Campus Tour template or speak with a higher education expert on how you can start offering this exciting communication tool. GuidebookEDU: Join us for a Masterclass!